Mackinac Island Michigan is to the east when driving across the Mackinac Bridge. Marcia and Kathy are sure that every driver, while driving across the bridge, takes a glance across the water and wonders about that little island in the distance. Mackinac Island, Michigan is just like all communities in Michigan. It has a zip code. It has a local government. It has its own Mackinac Island Chamber of Commerce. It has a police and fire department. It has a school, a library, and a medical center. What's missing? Automobiles! But, there is something more to this community, something bigger than life…a spirit that is simply special. 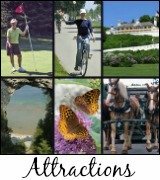 We would love to hear from you, our readers, about your experiences living or vacationing on Mackinac Island, Michigan. 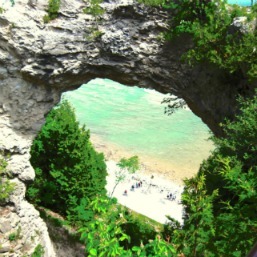 Share with us your love for this tiny island that is just east of the great Mackinac Bridge. 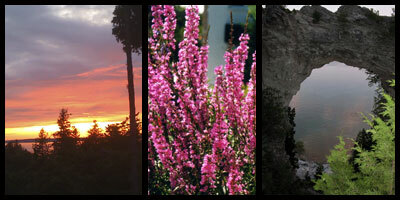 Check out the beautiful Spring, Summer, Fall and Winter weather on Mackinac Island. 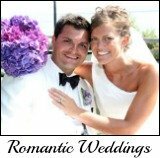 Mackinac Island is a popular midwest Wedding Destination! Learn about the Mackinac Bridge...take a ferry ride underneath it! 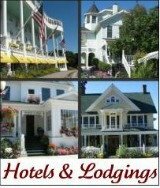 Quaint and Lovely Mackinac Island Lodging...for a honeymoon or special occasion. 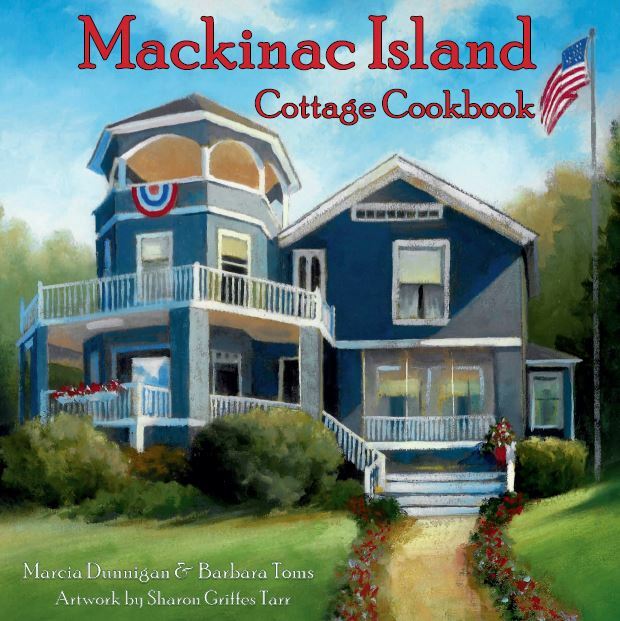 Marcia's husbands family has been enjoying Mackinac Island for over seventy years. Marcia worked on the island during her college years in the sixties. For the past twenty years she and her husband have been vacationing on the island with their family each summer. Marcia and her mother head up in early spring to open up the family cottage. It takes them about two weeks to get it ready for countless family and friends to stay for a week or longer. In fact, Kathy loves to be invited to stay with them and watch the freighters go by while sipping a cool drink on their veranda. Kathy's husbands family began coming up in the summer months when Todd was around 8 years old. His father, Dr. Petersen (known as Doc P) was the Director of the Mackinac State Parks in the mid-fifties. His vision and dream about what this quaint Island could be has become a reality. The family still has a year round cottage on the Island that always has someone in the family wanting to spend a magical day, week or weekend in the spring, summer, fall and winter! 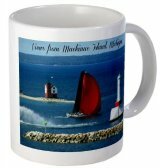 If you would like to learn more about this quaint and wonderful community of Mackinac Island Michigan click here. 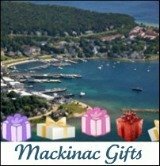 To learn more about the kindred spirit on Mackinac Island visit theMackinac Island Community Foundation. This not for profit organization is dedicated to improving and enriching life on the Island for residents as well as visitors. As a year-round or summer resident or visitor share a story, a photo, a place or event, tell us about a special person (past or present) who depicts the strength and beauty of Mackinac Island Michigan as a small community or even a poem written by you about this magical Island where time has stood still.